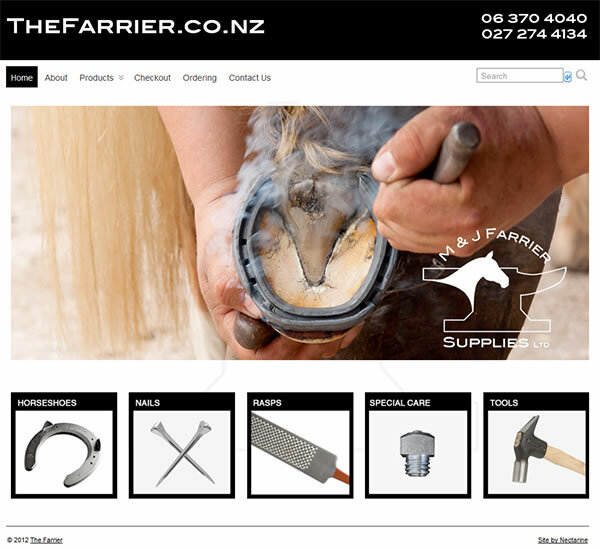 The initial direction was for an illustrative approach, but after some work, they decided it wasn’t quite the look they were after. 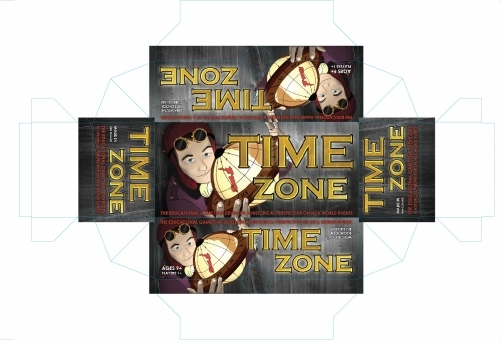 Bek kept the steampunk influences that they liked, and made the title more of the hero. 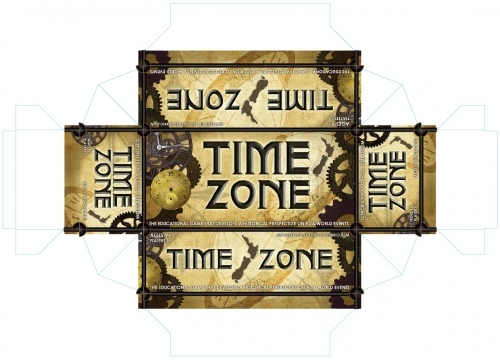 To create the final design, Bek used Photoshop to create layers of paper texture, photos of cogs and clocks, shadows, detailed linework and text to create the front of the box. 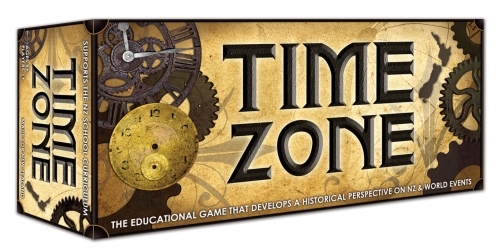 You can buy Time Zone from the Edugames online shop! Time Zone – the final design!